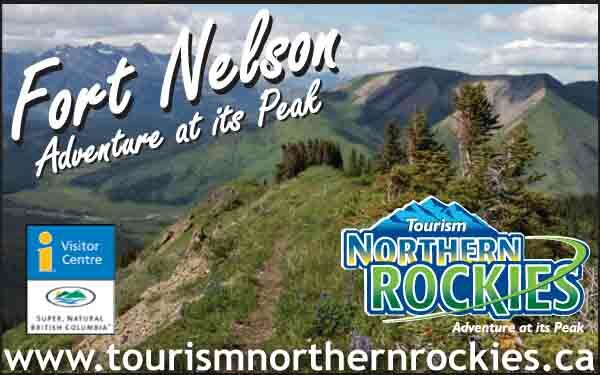 Location: Stewart-Cassiar Hwy 37, approximately 52 miles south of Dease Lake, 160 miles north of Meziadin Junction of Hwy 37 and 37A, 310 miles north of Terrace. Population: 400. Iskut Band Administration Office, PO Box 30, Iskut BC V0I 1K0; Phone: (250) 234-3331. Iskut is a small Tahltan Indian community with a gas station and a grocery store, located between Mount Edziza Park and Spatsizi Plateau Wilderness Park, just north of the Iskut Lakes chain. The Iskut River originates in Kluachon Lake, which is followed by Eddontenajon, Tatogga, Kinaskin and Natadesleen, all situated right along the highway. Experienced wilderness guides operate primarily out of Iskut for adventuring into both spectacular parks. Mount Edziza is accessible by horseback, floatplane and on foot, although routes are not clearly defined and only accomplished backcountry enthusiasts are advised to attempt them unguided. Spatsizi is British Columbia’s second largest park, accessible by horseback, canoe or by entering on the two well-marked routes connecting to nearly 100 miles of hiking trails. The wild Stikine River originates in an ice cave here. While portions of the Spatsizi and Stikine Rivers may be negotiated by canoe and kayak, and guided river rafting companies abound, the spectacular 50 mile stretch of the 1000 foot deep Grand Canyon of the Stikine is considered utterly impassable. Roadside camping is allowed in this area and there are a number of small campground facilities, while the Kinaskan Lake Provincial Park north of Iskut provides breathtaking views across the lake toward Mount Edziza from 50 full facility sites. There is also resort lodge accommodation available in Iskut. Dedicated berry pickers will want to check out the largest huckleberry patch in the province at the Iskut Burn, the result of a catastrophic fire in 1958.